Pantone have recently launched their new Pantone colours in celebration of their annual ‘Pantone Of The Year’ campaign. A softer take on colour for 2016, as for the first time in Pantone history, the blending of two shades – Rose Quartz and Serenity – have been chosen. “As consumers seek mindfulness and well-being as an antidote to modern day stresses, welcoming colours that psychologically fulfil our yearning for reassurance and security are becoming more prominent. Joined together, Rose Quartz and Serenity demonstrate an inherent balance between a warmer embracing rose tone and the cooler tranquil blue, reflecting connection and wellness as well as a soothing sense of order and peace. We see Rose Quartz as a strong yet gentle tone that conveys compassion and a sense of composure. Serenity is weightless and airy, and emits the feeling of the blue sky on a Summer’s day, bringing emotions of relaxation to the forefront of our minds. Pairing of Rose Quartz and Serenity brings calm and relaxation. Appealing in all surface materials and finishes, the engaging combo joins easily with other mid-tones including greens and purples, rich browns, and all shades of yellow and pink. Our Supreme towels in Pink and Sky have been referenced in The Design Sheppard blog as representing the Pantone duo nicely. We completely agree! We’ve put together a selection of coordinating and complementing Supreme towel shades to enhance the Pantone palette. We’d love to hear your thoughts on the Pantone Of The Year. With all festivities and waves of guests dwindling, it’s time to de clutter the linen cupboard and get it organised ready for your next lot of guests to descend on your home. At Christy nothing gets us more excited than a pristine linen cupboard storing gorgeous linens from fluffy towels through to crisp sheets. If you’re anything like us your linen cupboard is over flowing with luxury linens so here’s some tips on organising your linen cupboard. And most importantly a pile for linens that have seen their best days, do not be afraid to throw away linens – just think of all the new soft fluffy towels and beautiful new bed linen designs you can purchase! After you are happy with the piles of linens before thinking where they will be homed in your cupboard fold them neatly. Watch this video for a tutorial from our towel design manager Julia on how to perfectly fold a towel. Handy tip, fold your pillowcases up together and insert them into the middle of your neatly folded duvet. This will help to keep your linen closet looking in tip top shape and will also allow you to grab the full bed linen set for those last minute emergencies. Once you have your linens all neatly folded and ready to put back in your closet, it’s time to give the cupboard a quick spruce up with some polish and even put a fresh little sachet of your favourite scent to keep your closet smelling fresh. Finally place your linens back in remembering the categories you spilt you linens into previously. Colour co-ordinating your linens is also a great way of keeping your linen closet organised. Have a separate section for your guest linens which are reserved strictly for visitors. 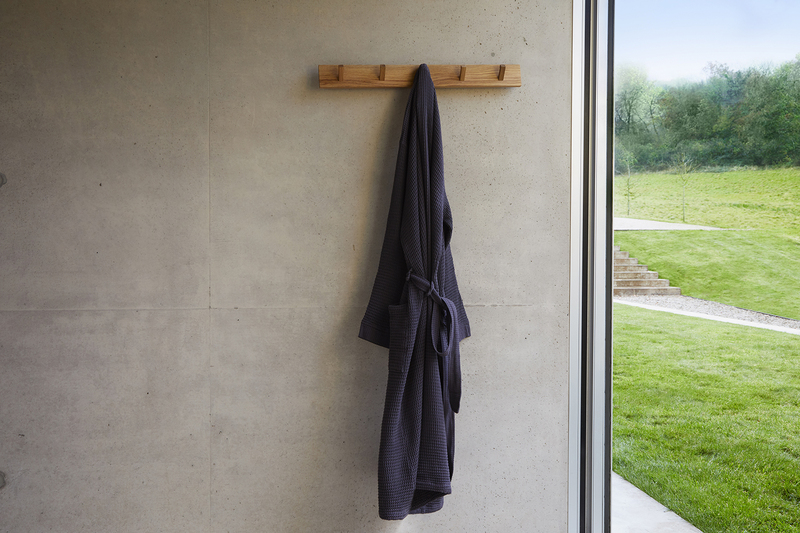 A spare robe for guests will make them feel like they’re really at home. A spare pillow and duvet will allow your guest to wrap up warm on the winter nights. In Summer a spare flat sheet may be needed as an alternative to a duvet. Layer up your guest bed with cosy knit throws and an array of cushions and a fresh bale of towels for the perfect finishing touch to your guest room. 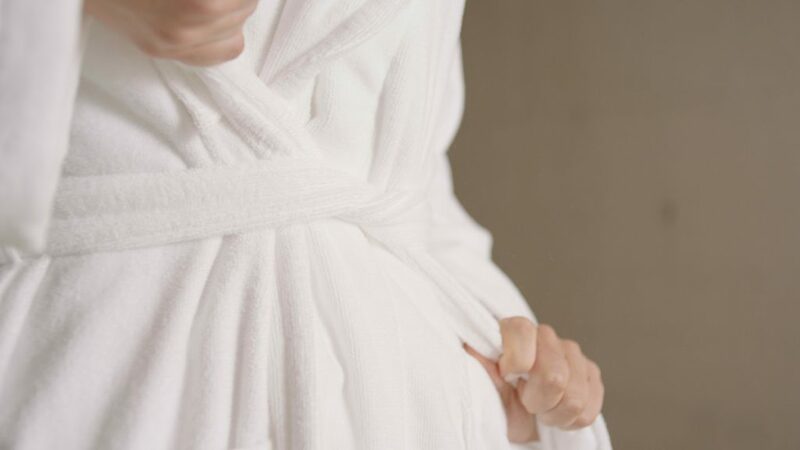 One last tip on linens in your household; we would recommend two bath towels and one full spare set of bed linen per person within the household to keep everyone in luxury linens. Our essential linen guide can be found here and this can be printed and displayed on the back of the door on your closet for easy reference to our tips. We’d love to hear how you get on organising your linen cupboard send us a message on Facebook and Twitter and tell us how you’ve categorised your linens. It’s Christmas week, the food shopping has been done, the presents are gathering under the tree and the guests are imminent. Everything is ready and waiting for the guests to descend but there’s no chance that you’ll be relaxing just yet – not until everyone has a drink and multiple food options. Vol au vent anyone? Champagne? If you’re accommodating family or friends overnight, then we’ve got a simple trick that’ll make your home synonymous with hotel quality luxury – perfectly folded towels! Watch the video now, and fold your way to spa style luxury with resident Christy towel designer Julia Hewitt. Wishing you a very merry Christmas season from all of us here at Christy. It’s never too early to start planning for your Christmas guests; in fact, the earlier you begin the smoother the whole process will be. One of our Christy ambassadors, Love Audrey, seems to have got the knack of hosting down to a tee, and here are some of her top tips. If you have any words of wisdom to add please share them on our Facebook and Twitter pages. After what will no doubt have been a long and hectic journey, your guests will be grateful for the offer of a warm bath followed by a restorative snooze. Make sure their surroundings are soft and sumptuous with fresh linen and clean towels, the fluffier the better! Remember, everyone feels the cold differently, so give guests the option of extra blankets and additional pillows to ensure they get a good night’s sleep. When you’re hauling countless gifts across country, it can be easy to forget the essentials, so consider leaving a stash of toiletries in the guest bedroom. 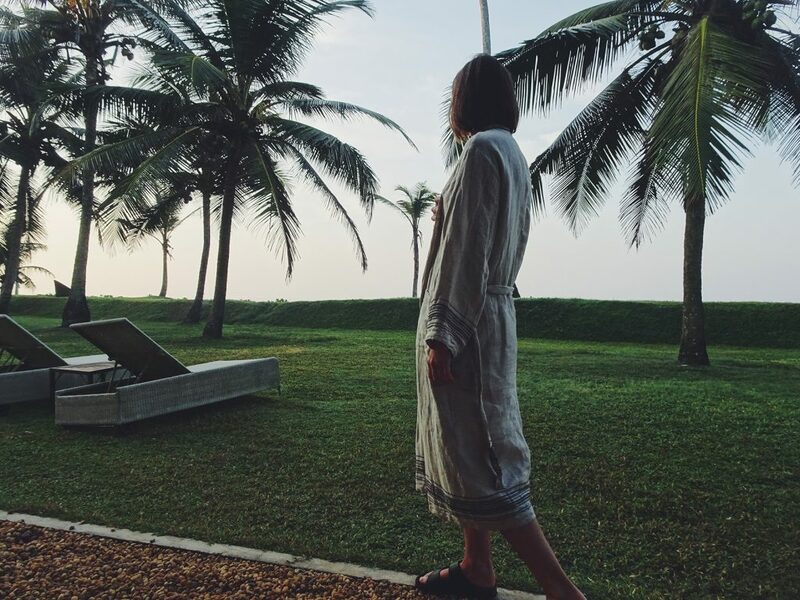 Sample sizes of everything from toothpaste to deodorant could come in handy, but if you really want guests to feel cared for, a spare robe and some slipper socks would be perfect too. A well stocked bedside table adds another element of comfort to your guests’ surroundings. Fresh flowers, a pile of books or magazines and a box of tissues is a good start. A scented candle (don’t forget the matches) and easy access to a pen and paper might also be appreciated. Keeping a few refreshments within easy reach is a good idea. Not only will it help alleviate any potential guilt if a guest feels peckish between meals, it also takes some of the pressure off you having to fix countless drinks and snacks on top of the usual Christmas catering. Try filling a tray with bottles of soft drink, biscuits, snack bars and maybe even the odd mince pie! Nowadays, no one travels without their tech, so be sure to leave the Wi-Fi password somewhere visible. You could also invest in a universal charger, just in case someone forgets that vital bit of kit. Despite it’s main function as the space where you and your family get ready to face the day, your bathroom doesn’t have to be seen as a purely practical room. With a few elegant additions, and a slot in your family schedule where the bathroom can be just yours for an hour, you can create a relaxing haven to wind down after a hard day. 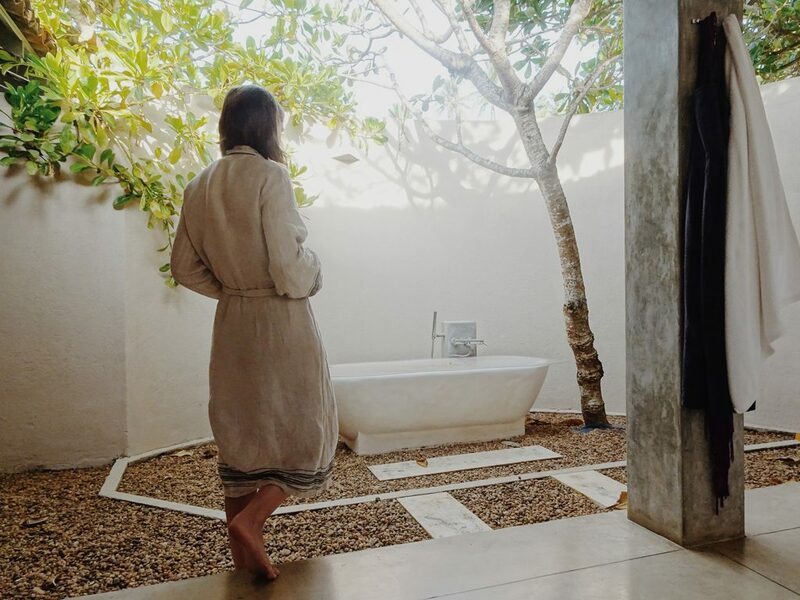 Here are a few things we think make great bathroom investments, and can help you to find an oasis of calm in your busy family life. Established in 1925, Champneys is a world-class spa and its name is synonymous with luxury and pampering. Create the feel of a spa day in your own bathroom with a gorgeously soft massaging bath pillow – no longer will you have to rest your weary head on the cold hard enamel of your tub. For truly soft skin, Champneys uses muslin cloths to apply products to the face, and you can easily recreate this. Slather your skin in your best cleanser, and feel the difference in gently removing it with a cloth rather than just splashing it clean. 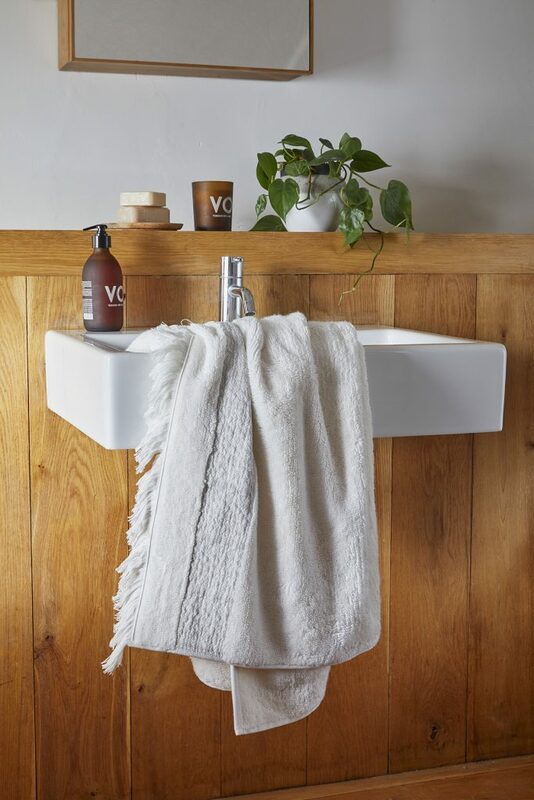 Bathroom storage doesn’t have to mean unsightly metal racks or plastic shower caddies – take your storage up a notch with an elegant bamboo bath rack, like the ones offered by Lloyd Pascal (widely available online). As well as looking chic and keeping things neat and tidy, these racks stretch across the bath, meaning you don’t need to move an inch to reach your shower gel, body scrub or hair mask. Or maybe that bathtime glass of wine? Perfume house Penhaligon’s is the first word in luxury scents and bathing, offering sumptuous bath oils, soaps and essences to discerning bathers since 1870. Penhaligon’s bath oils are incredibly nourishing and softening on the skin, and can also be used as dry body oils for an added drop of moisture during the winter. They come in a wide variety of scents, from classic Lily of the Valley to the exotic and heady Malabah, containing coriander, earl grey and spices, and refreshing Artemisia, which is packed with apples, jasmine tea and nectarine essence. A relaxing bath would not be complete without one of our Christy candles, which come in one of three luxurious scents. For bathtime relaxation, we recommend fragrance number 3, a mix of rose pepper, refreshing citrus, bergamot and vanilla, combined with the scent of aromatic woods. Our candles come in one or two wick options, and we recommend the larger size – it has a burn time of 90 hours (lots of baths!) and comes with a metal lid embossed with Christy. Arriving this month, Christy’s new range of Royal Turkish towels will bring a sumptuous, regal feel to your bathroom. Over 150 years since our founder Henry Christy first produced towels fit for the British monarchy, we’ve taken the same beautifully soft cotton and created a new collection in homage to this luxurious heritage. Available in a variety of rich tones and classic colours, the Royal Turkish range transforms bathrooms into a real sanctuary with 100% Turkish cotton in a beautiful finish and is available in an array of earthy colours for this season. If you’re planning ahead for welcoming guests during the festive season, this could be the perfect touch to make them feel at home. Be sure to let them know these are inspired by the same techniques used in Christy’s original towels produced for Queen Victoria. Her Majesty was presented with a full set back in 1851, after which she keenly ordered more. In fact, we still have the letter received from the Royal household, in which six dozen towels were requested for the Queen. During the decades that followed we maintained a close relationship with royalty, marking 100 years of the Royal Turkish towel in 1951 with an exhibition and a celebration booklet given to influential members of the press and buyers. And we’re proud to be building on our rich heritage and connections through this important collection with the launch of our new range. Browse our Royal Turkish collection and create an ambience of the Royal household in your own home this winter. This year, Christy is entering the home fragrance market with new product ranges that complement our already popular collections of towels and bed linens – so we are delighted to present our new range of gorgeous luxury candles, now available online and in our flagship Chester store. Our candles are available in three beautiful fragrances, and three complementary colours, ensuring everyone can find the ideal scent for their home. Find out more about each candle and choose your favourite below. This soothing fragrance has base notes of sweet musk and woody scents, layered with lemon blossom and violet, and all brought together with soothing chamomile – perfect for unwinding at the end of a long week. We love the deep purple of the packaging – it’s ideal for creating a warm and cosy atmosphere in any room. Fragrance number 2 is ideal for your home if you love heady oriental scents combined with fresh citrus. This fragrance features rich jasmine and cedar, made lighter with citrusy notes, and its neutral packaging makes it an ideal gift for all homeowners, no matter their taste in interior decoration. Fragrance 3 is a sensual and aromatic blend of rose pepper, bergamot, precious woods and rich vanilla, cut through with fresh citrus. The dark shade of the packaging is great combined with neutral furnishings, and, like the rest of the candles in the range, it boasts an impressive burn time. The bathroom of a family home is always a hive of activity – from bathing the kids to enjoying a relaxing soak at the end of a long day, this non-stop room barely gets a break. If you are looking to update your bathroom in the near future, why not reflect your personality with your interior design choices? At Christy, our extensive collection of luxury towels is a perfect starting point for picking your ideal colour pallet and style. Opting for simple white walls and a minimalistic approach to decoration is a great way to let your bathroom accessories stand out. Sleek and stylish fixtures, such as silver taps and an all-white suite, allow you to go all out with towels and other additions. Paprika, Lagoon, Honey and Raspberry are just some of the towel shades that would complement this colour block approach to interior design – and coming as part of our Supreme Hygro range, you won’t need to worry about replacing them any time soon. This style could not be further from the minimalistic approach mentioned above. With this look, think feminine florals and elegant accessories. A stand-alone tub, flowery wallpaper and dark wooden fixtures could take you back to years gone by – and this kind of timeless design is certainly making a comeback. Christy towel shades including Thistle, Blush, Pink, and Stone are perfectly matched to this vintage-inspired look. The nautical style is a timeless classic when it comes to bathroom design. Although it is undeniably popular, there are several ways that you can make this style your own. Clean white walls with wooden floors, panelling and rustic accessories match this look to a T, whereas blue, red and white fabric styles are the perfect addition. 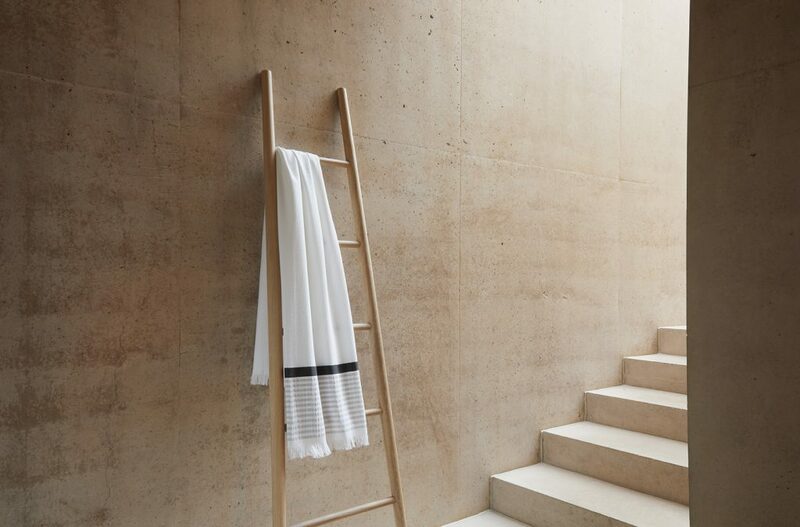 Our Paprika, White, Deep Sea and Cherry towels look perfectly suited in any seaside-inspired bathroom.